I love exploring luxurious hotels in every city I visit–it's one of my favourite thing to do. Some people aren't hotel people; I'm not one of those people. I even love staying in hotels in the city I live in. Staycations are fun, and a great way to re-discover things about your city all over again. Sometimes, a staycation is all you need to feel like you're on vacation. 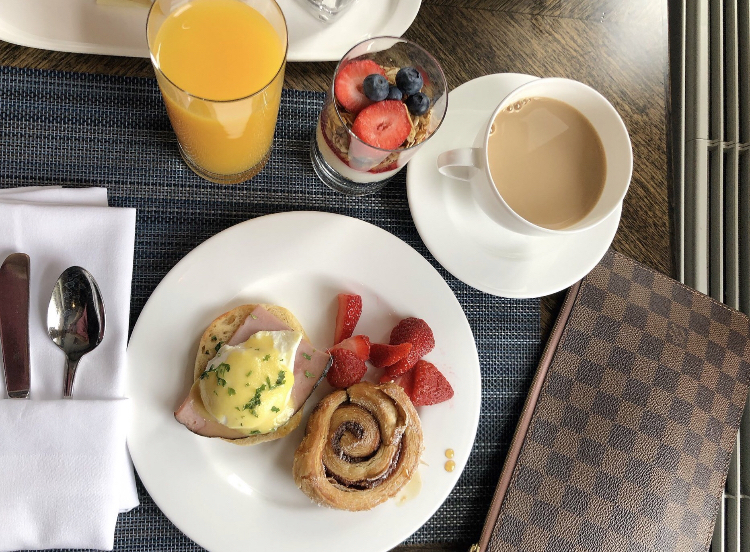 Chateau Laurier is Ottawa's most luxurious hotel located minutes from Parliament Hill, Rideau Centre, the Byward Market and Rideau Canal, and it's one place I love visiting. It holds a special place in my heart because it's where my husband and I stayed after our wedding, before we left for our honeymoon to Aruba, and it's where my sister got married. We also love spending summer evenings on the Wilfrid's patio, taking in the glorious sunset while drinking champagne. 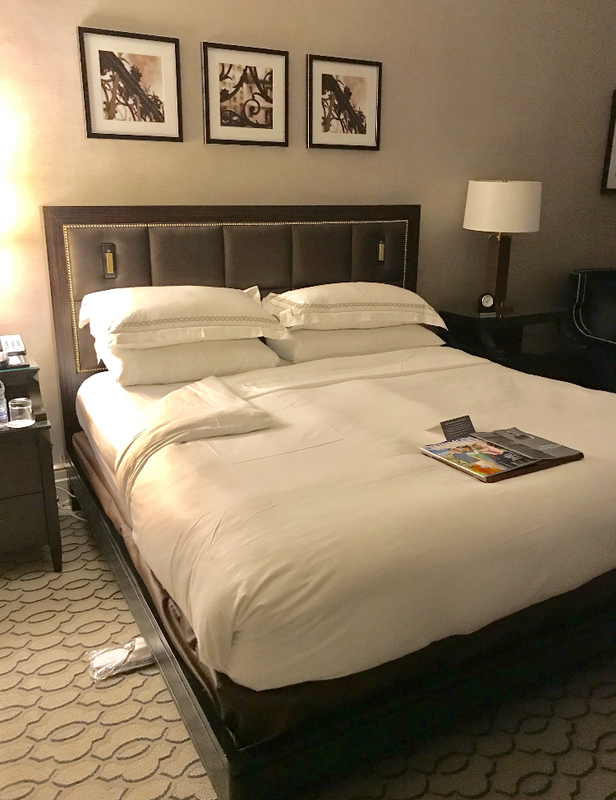 I had the pleasure of staying at the Chateau Laurier last month, to experience and review the property's multi-million dollar guest room renovations. We stayed on the Fairmont Gold floor, which was quite impressive, with private check-in on the 4th floor and personalized service. We enjoyed the complimentary breakfast and the Nespresso bar (along with fresh fruit, nuts, candies, soft drinks and alcoholic beverages available for Fairmont Gold guests throughout the day). From 5 to 7 p.m., Fairmont Gold guests can also enjoy the delicious and complimentary appetizers and desserts. 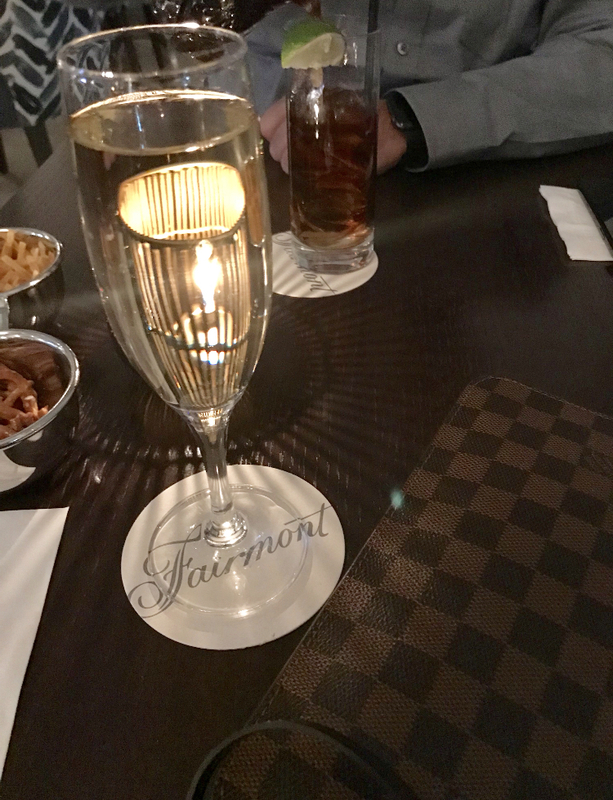 The Fairmont Gold experience–often described as a 'hotel within a hotel'–was fabulous and made our stay that much more memorable. My husband and I had the chance to go to Zoe's, an Ottawa hot-spot, for cocktails and appetizers, and I loved the ambiance–from the great service to the gorgeous views overlooking the downtown core, it's become one of my favourite places to grab drinks at night. With Winterlude around the corner, you can check-in to Chateau Laurier and experience their Wildly Winterlude Package, taking place from February 1st to the 17th. You'll be steps away from the world's largest skating rink, and you can take in the ice carvings and snow sculptures. Once you're finished Winterlude-ing, head back to Chateau Laurier to warm up with some hot chocolate and dinner at Wilfrid's. The Wildy Winterlude Package includes weekend accommodation and complimentary coupons for BeaverTails and hot chocolate. (After all, it's not Winterlude without BeaverTails!). 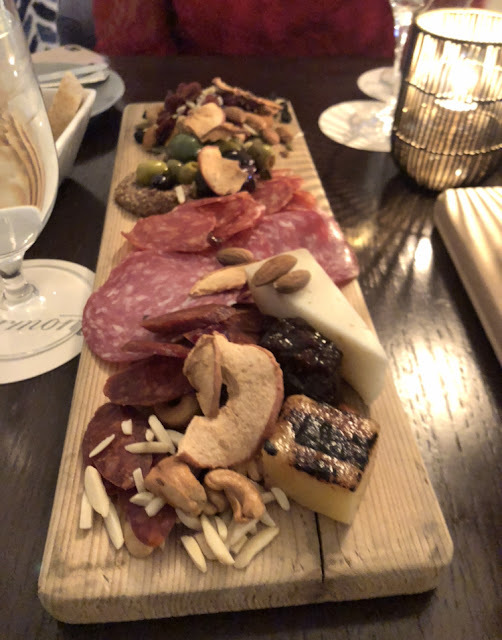 Fairmont Chateau Laurier is the place to stay if you're looking for luxury accommodations, a romantic weekend getaway, or a fun family adventure. This charming and historic hotel is a beautiful landmark in Ottawa and a vital part of Canadian history. 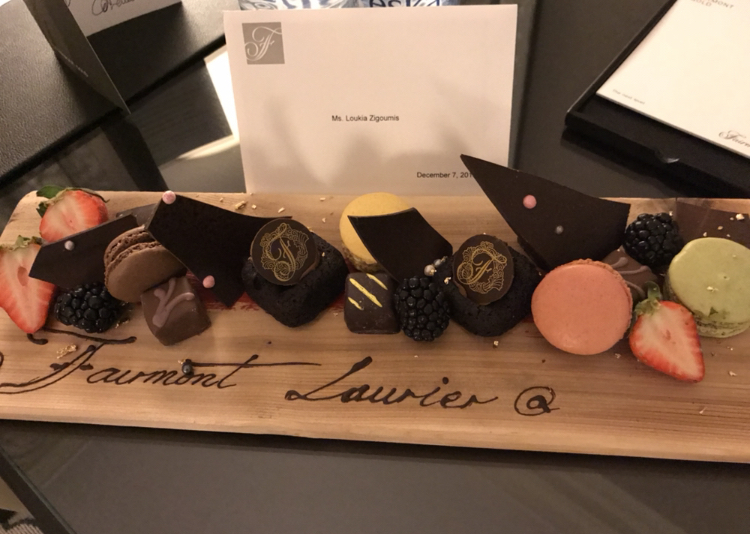 Thank you, Chateau Laurier, for treating us to a fabulous staycation. We can't wait to come back!